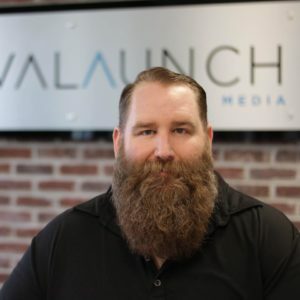 Mat Siltala is an online search industry veteran and co-founder of Avalaunch Media. Mat’s clients have included companies like Sales Force, Work Front, The Home Depot, and Go Pro..
Matt loves networking and relationship building with other industry leaders. Mat is a frequent speaker at major search marketing conferences like Pubcon and Search Marketing Expo, and other marketing events across the country. Matt has even been asked to speak to students in Business/MBA programs at Universities like BYU and Arizona State University. What is Amazon SEO and Amazon Advertising? This episode we are joined by Ginny Marvin as we dig into the various ways you can advertise or SEO on Amazon. From Product Stores to the basics of Amazon SEO find a number of resources and ideas to crush it on a new platform in 2019. Listen to What is Amazon SEO and Amazon Advertising? now. In this episode, we explore and highlight some of the 48 items on Ian Lurie’s Digital Marketing Checklist that he created and give our own takes on some of the items. Listen to The Digital Marketing Checklist for 2019 & Beyond now. Listen to Tips for Starting an Online Business now. Listen to E79 – Management Styles of Teams & The Super Mario Effect now. Dig into the complex topic of Google, Antitrust, European Union (EU), and more with special podcast guests Elmer Boutin and Steve Cernak. Listen to E78 – Google and Antitrust now. Listen to E77 – 2019 Digital Marketing Predictions now. In this episode, the guys dig into various tools to help you find influencers, reach out to influencers and all around launch an influencer marketing campaign. Listen to E76 – Tools for Influencer Marketing now. Dig into some legal topics around logo, photo and content creation as well as some agreements you likely don’t use but should with awesome guest Ruth Carter. Listen to E75 – Blogging Legally 101 w/ Ruth Carter now. Ever think of jumping into Live Video for Instagram or Facebook? Then check out some accounts to follow for ideas and some tips on what to do and not to do in this episode. Listen to E74 – How to do Live Video Correctly now. Mental health in the digital marketing industry (startups) and real struggles that we all face. Listen to E73 – Mental Health, Entrepreneurship and Digital Marketing now.